Fabulous fielding first baseman who was one of the toughest batters in history to strike out. He earned his nickname 'Stuffy' while playing as an amateur in leagues around the Boston area. 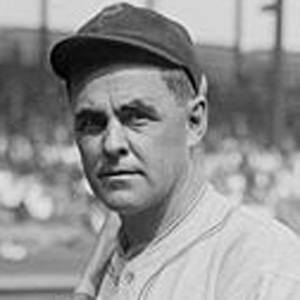 He was a part of the famed $100,000 infield for the Philadelphia Athletics in the early 1910s. He was married to Elsie Mcinnis. He won three World Series titles while playing for legendary manager Connie Mack.